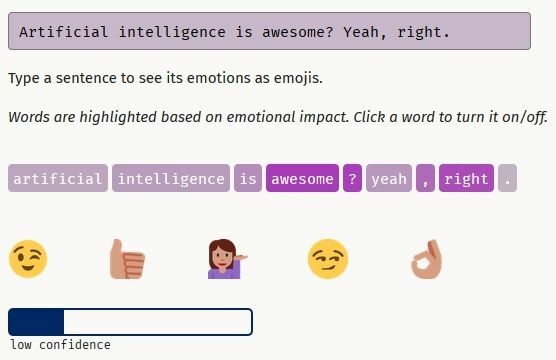 A sarcasm detector bot that outputs emojis in response to strings of text? Yep, it’s another brilliant AI project in the quiet days of summer. If you can spot the sarcasm above, chances are you’re human rather than a bot. The particular bot that we’re talking about here is made by DeepMoji, a spinoff from the Massachusetts Institute of Technology. 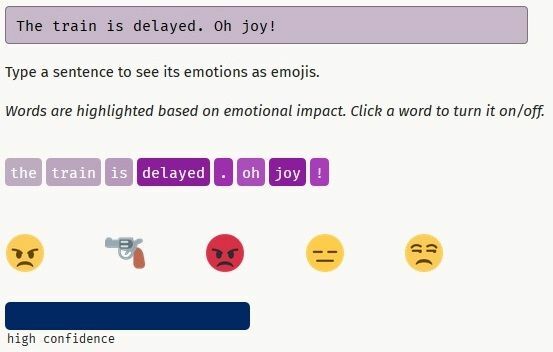 “We use millions of texts on Twitter containing emojis for training a deep learning model that understands many nuances of how language is used to express emotions,” says the project’s about page. 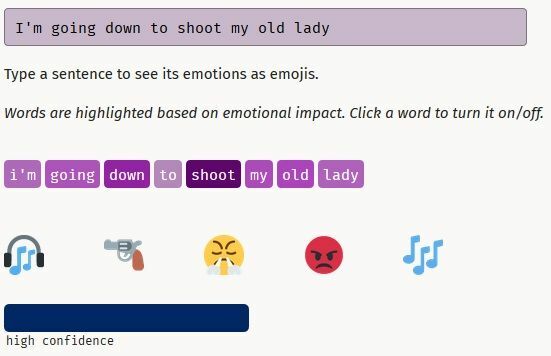 Using a dataset of 1.2 billion tweets, the DeepMoji team trained their model to predict what emojis (for elderly readers, those are the little cartoon graphics that youth of today like to include in their textual output – see also “smileys”) would be included with a particular sentence or phrase. Felbo, perhaps naturally, boasted a little about his team’s production and how they claim to have overcome the traditional problem of sentiment analysis software: that it simply can’t tell the difference between genuine positivity and sarcasm. This being El Reg, we decided to try it out for ourselves. Alright, it gets the idea with basic Britishisms. Let’s try actual sarcasm. 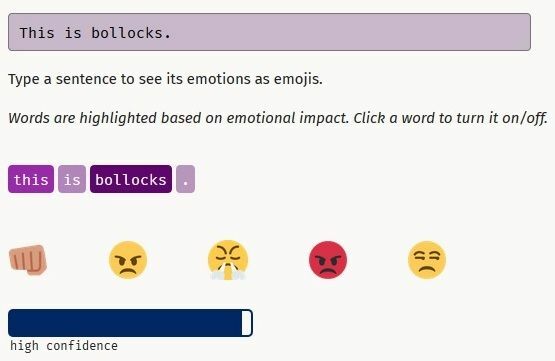 Not only does it recognise that Roberts’ protagonist wants to bump off his cheating wife, but it also spots that this is a song lyric, judging by the musical emojis. We saw the same effect with Fleetwood Mac lyrics, for what that’s worth. Is this, then, the key to cracking sarcasm on social media?